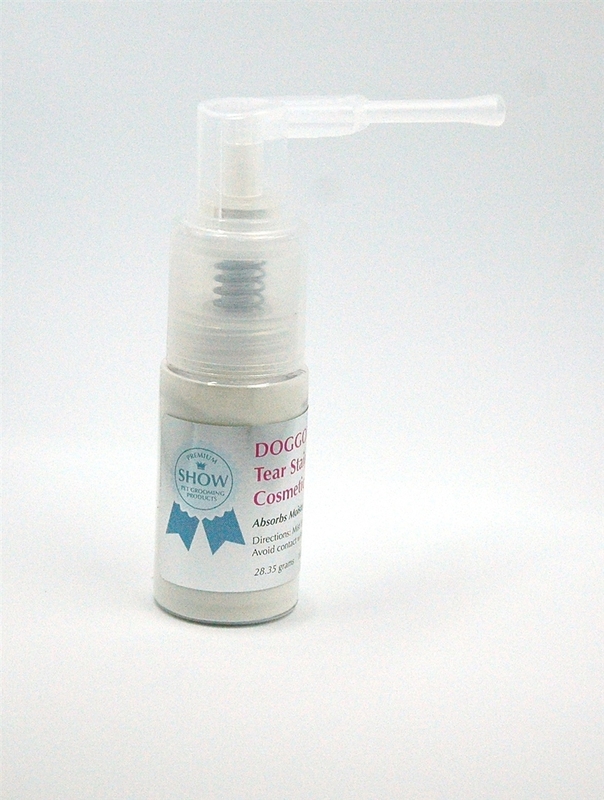 This is among one of our favorite whitening products for dog shows. This cosmetic powder dries hair that otherwise stays wet from excessive tearing, and covers stained areas on the go. To use it, spray the area you wish to treat, then press the powder down with your fingers. Continue this process until you achieve the desired look. Avoid direct contact with the eyes. Lift spray arm up to a horizontal position. Move spray arm close to desired area to be treated. Pump lightly to allow powder to flow evenly into hair. Press powder down into very wet areas with fingers. Can be used to slightly cover up stained areas: Hold sprayer a few inches from area to be treated. Lightly brush powder through the coat. Continue until desired affect is achieved.